Lately when dealing with certain companies the QC issues have been like a game of Russian Roulette. With some recent collectibles being riddled with poor paint or poorly fitting attachments, to the other side of the scale of them producing some of their best work for years in recent months. **I have to add that the said company have had some QC issues, but I personally have never had any complaints about their top notch customer service team. “A new car built by my company leaves somewhere traveling at 60 mph. The rear differential locks up. The car crashes and burns with everyone trapped inside. Now, should we initiate a recall? Take the number of vehicles in the field, A, multiply by the probable rate of failure, B, multiply by the average out-of-court settlement, C. A times B times C equals X. If X is less than the cost of a recall, we don’t do one”. 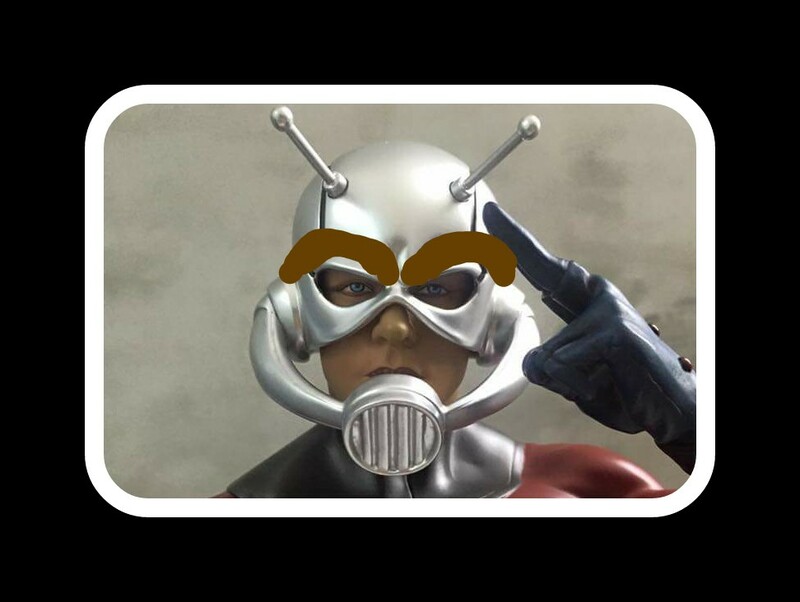 From Bryan / Statuforum: “As Ant-man is packed and ready to ship, we will be sending all 700 new heads to all the distributors and customers who have purchased from us – everyone can keep the old head. I really do not know what to say apart from two thumbs up tp XM studios. This is an amazing act of great customer service as the flaw was so minor that out of the 700 pieces produced it is likely that less than 100 would complain. then with the volume of XM pieces that are sold through flippers the response would have possibly been even less. I am also glad that XM are getting involved if the buyer has a problem with getting in touch with their “middle man” as that could have been an issues with the final owner receiving the new head. ← Prime 1 new teasers!